LED clothing is seen pretty much everywhere, especially in athletic wear. 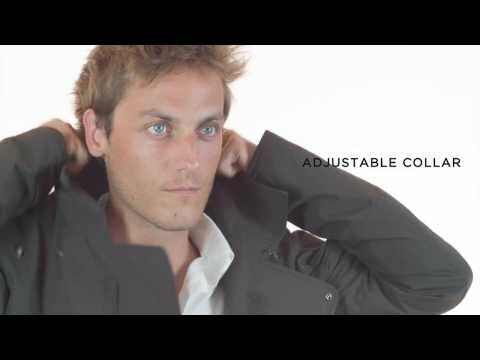 French company Esethete decided to take a more casual route to the trend by creating the Eclaireur jacket. They designed it to be worn on a daily, casual basis. The LEDs are found in the back and chest portion of the jacket, but done in a subtle way. They almost resemble buttons or a button-like design. The jacket is also incredibly functional and mirrors the same functionalities as its sporty counterpart It’s waterproof with SympaTex polyester and it also has zip vents under the arms, along with ventilation holes at the back for breathability. The lights themselves are Ultrabright LEDs that allow the wearer to be seen up to 328 feet away! An integrated controller controls the LEDs, which switches between the lights being shown in the front, back, or both. Run by a lithium-polymer battery, the lights last up to 20 hours and take about 3.5 hours to fully charge. So if you’re in the market to be in on this wearable LED craze but aren’t exactly crazy about the LED athletic wear, the Eclaireur jacket just might be right up your alley!